When Miami Beach hit “pause” on its resiliency strategy after the election in November, a few things got caught in the middle. Literally. 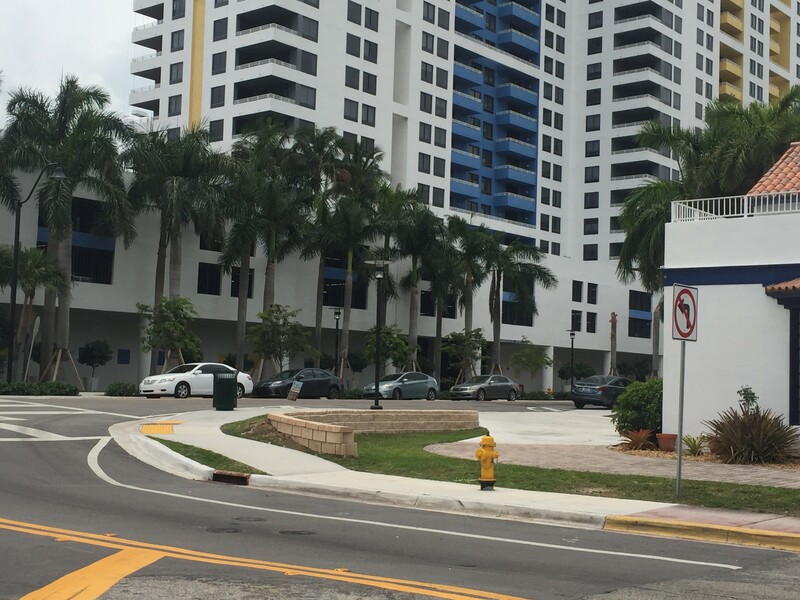 The West Avenue neighborhood which had seen completion of the first phase of a project to replace aging stormwater infrastructure and elevating roads for sea level rise, found Phase Two put on hold while Commissioners studied the City’s plans to determine if it was on the right track. Not that everyone was upset about that. Many in the community expressed their displeasure over the lack of thought about what would happen above ground once the pipes were in place and the roads raised. In the meantime, City leaders and Staff have worked with a team from the Urban Land Institute (ULI) provided by 100 Resilient Cities, a network started by the Rockefeller Foundation and which Miami Beach is a part of. 100RC is designed to help cities become more resilient (which goes beyond climate to include physical, economic, and social issues). While a final report is pending, the group’s initial assessment praised the City for taking decisive action while encouraging it to take a more integrated approach to grey and green infrastructure and communicating better with community stakeholders. This week, a multidisciplinary team from Miami Beach joined experts from 100RC and Columbia University for the Southeast Florida Resilience Accelerator, funded through a $3.7m grant from the Rockefeller Foundation. The West Avenue Project was put through the Accelerator’s intensive three-day workshop which had as its premise kickstarting projects from design to action. In the end, the City’s team presented the framework for a more inspired public space and a new communications tool for improving transparency and information sharing both internally and externally with the community. Elizabeth Wheaton, Miami Beach Director of Environment and Sustainability, laid out the City’s challenge. Following the approval of the 2013 Stormwater Management Master Plan, the City updated its design criteria and overall capacity, going from a gravity-based system to pump based system to combat rising seas and increased rainfall events. A major issue for the neighborhood is that it is experiencing “construction fatigue” following the FDOT project on Alton Road. But the need is clear, she said. “The area currently floods during extreme high tides and rain events because of lack of capacity of the system." Wheaton responded, “Our goal is to get this project unstuck. We realize we have competing interests.” A project of this magnitude, “impacts daily commutes, people’s lives, and livelihoods,” she said. After identifying the many challenges of the project for each department, the priorities identified with the “highest occurrence, highest consequences” were sea level rise and the conflict between cars, bikes, and pedestrians. Chief Resiliency Officer and Assistant City Manager Susy Torriente said the priorities underscore the need for more integrated planning. The Transportation Master Plan, which prioritizes pedestrians and bicycles, “should be informing design criteria,” she said. Wheaton noted the City has many “plans on a shelf. We need to make sure they’re integrated” into the design process for each project. Acknowledging a lack of community consensus, Wheaton said, that is the City’s challenge, but the reality is the project is under contract. Gaining community consensus was identified as the most critical issue for prioritization and the team set about its work for the next few days. Plan for moving forward: What emerged was a plan that contained ideas for a more “inspired public realm” through above-ground aesthetics and more transparent and informative public dialogue. The working group developed a “tool” to be used internally by the interdisciplinary team and the public to more visibly consider and show the “sound science”, the scope and design of individual projects including street elevation, pipe capacity, pumps, green infrastructure options, alternatives such as deep water injection and costs, along with co-benefits such as green space, bike lanes, and open street ends. As part of the road elevation process, Wheaton noted that “over 100 properties need to be harmonized” with the raised roadway. Part of the plan to get West Avenue “unstuck” includes “developing typologies of what harmonization is going to look like,” she said. The City will meet with the individual property owners to help them get a better understanding of how the project will impact them, in particular. Planning Director Tom Mooney discussed how the group envisioned a more inspired West Avenue public space. Currently, he said, there is a 70 foot right of way with 40 feet dedicated to vehicles and 30 to “pedestrian movement, bicycle lanes, sidewalks, streetscapes and landscapes.” The team proposes to reverse that with 30 feet for vehicles and 40 for pedestrians, bikes, sidewalks, etc. The group’s plan would maintain vehicle lanes and center turn lanes while eliminating on-street parking from 8th to 14th. Parking would remain on side streets. “It’s an opportunity to create spaces that are very significant, to create sculptures out of existing and future above ground infrastructure” he said referencing the pumps that have been installed in those areas. Wheaton said the team also responded to 100RC’s challenge to think big, coming up with the idea of a “floating road” that, as groundwater increased, would float on top. “It’s a concept to inspire where we need to go next,” she said. The City must continue to adapt and implement its “short term, mid-term, and aspirational goals of where we’re going… the idea we need to keep pushing the envelope… how our City could potentially adapt to the challenges ahead,” Wheaton said. Next steps: Further refine the concepts internally, engage with the community in September, present to the Commission’s Sustainability and Resiliency Committee on September 25, all with a goal of taking a change order to the City Commission in October. Once approved, it would be submitted to the contractor to price out. 100 Resilient Cities Support: The City’s efforts got another boost of support from the team at 100RC when they visited them on their own turf the day after the workshop. 100RC President Michael Berkowitz met with City Manager Jimmy Morales, Department heads, and the chairs of two Commission Committees at the forefront of the resiliency efforts: Commissioner John Alemán, Chair of the Land Use and Development Committee, and Commissioner Micky Steinberg, Chair of the Sustainability and Resiliency Committee, which will consider the West Avenue Accelerator Project next month. Berkowitz said 100RC’s mission is to ask “how can we up the resiliency value, how can we make our cities stronger?” How can a project such as a seawall become more, such as a park and then a meeting place? “What are the other opportunities in that one envelope to strengthen the City in multiple ways?” he asked. “How do we leverage that passion and turn it into something that enables change in a positive way and that’s going to protect the community for a long time?” Wilson asked. “Building trust in the process is almost as important as the outcome,” Berkowitz said. “Of the five case studies [in the Accelerator this week], this was the team that really wrestled with it in the most real way,” Berkowitz said of the Miami Beach team. “The others kind of played with house money” in proposing projects but with the City’s West Avenue Project team, he said, “They’re on the line. That was really cool and inspiring” to watch.